Danaher Product Identification companies, Pantone, Esko, X-Rite and AVT launched a new study, “Packaging and the Digital Shopper: Meeting Expectations in Food & Beverage,” with contributions from PAC – The Packaging Consortium, Mintel and executives from The Visual Brand, Nature’s Bounty Company and 2940 LLC. Through our research, Danaher’s Product Identification platform uncovered primary shopper behaviors from approximately 4,000 female and male shoppers in North America, France, United Kingdom, Germany, Spain, China and Japan to better understand what they want from food and beverage packaging, how packaging relates to their online shopping experience and why they return products. Data on what shoppers like fuels new product designs, but knowing how shoppers want to receive products is also an important part of the narrative. Food and beverage e-commerce is on the rise. Of shoppers who had purchased food and beverage products online, 75% of them stated that they plan to purchase more snacks online in the next 18 months. Why are shoppers purchasing food and beverage products on the Internet? Thirty-three percent do so because it is convenient, while 43% say they do so to get a better price. Online and offline purchases must mirror each other as shoppers expect continuity of brand and product regardless of where they are purchasing it. Sixty-one percent of shoppers expect the product packaging they see online to be the same as what they see in their local retailer, and 47% expect the product image online to exactly match the packaging that arrives on their doorstep. Only 9% of survey respondents were satisfied with packaging that was a different color or packaging type. 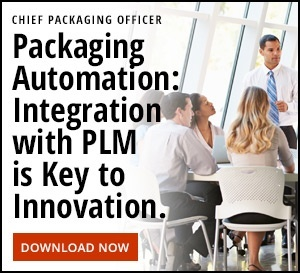 Now that omnichannel shopping is increasing in popularity, brands leaders must challenge their perceptions of what is possible and start using technology to connect the packaging value chain. 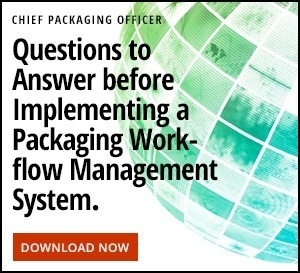 When everyone is connected to a packaging workflow of integrated technologies, the ecosystem collectively thrives. Fast-moving consumer goods (FMCG) companies can better connect to consumers quickly and elevate shoppers’ brand experiences. To ensure that food and beverage FMCGs companies can easily act on the study findings, executives from major organizations provided feedback on how the study relates to them. Included with the study, packaging, brand management and marketing, design and technology professionals will find these takeaways that they can apply immediately in their roles, written by functional leaders, for functional leaders.